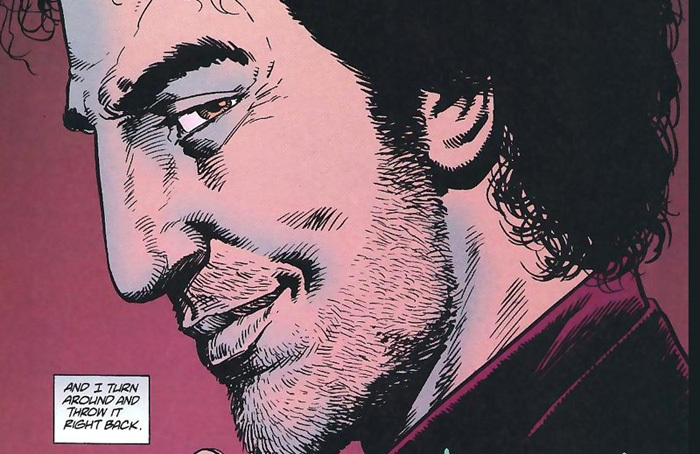 “It’s official” is the word going around the Internet today after The Hollywood Reporter broke the story that Garth Ennis and Steve Dillon’s classic Vertigo comic, Preacher, is being turned into a television series for AMC by This Is the End creators Seth Rogen and Evan Goldberg and Breaking Bad‘s Sam Catlin! Rogen and Goldberg will pen the script for AMC — which landed at AMC with a hefty commitment in a competitive situation with multiple networks bidding. The duo will also executive produce the drama via their Point Grey Pictures banner. Breaking Bad‘s Catlin will executive produce and serve as showrunner on the Sony Pictures Television entry via his overall deal with the studio. Original Films’ Neil Moritz, Vivian Cannon, Ori Marmur, Ken Levin and Jason Netter are also on board to exec produce.